I chose Art's Master Muffler on the advice of a trusted friend..who didn't steer me wrong. I called Mr Art to ask if I needed an appointment. He said no, and to come on in. He was pleasant to deal with and quickly diagnosed the problem. His price was less than I expected for the work involved,the work was done quickly, and now my car drives and sounds like its supposed to. I recommend him highly! 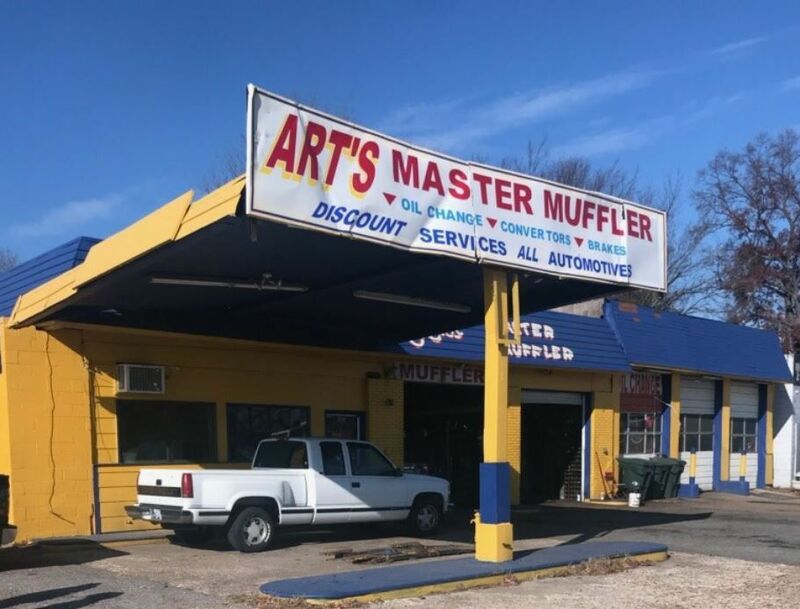 First time in this wonderful place.i had a muffler put happy that I found this place.and Mr art is a very good man that's fair in his prices and very good at his craft.i was in and out and they did a great job and yes I would come again and also I would recommend him to anyone that want good work done and a good price come see Mr art.god has truly blessed Mr art.i really enjoyed talking to Mr art he make you feel right at home. Art is rarity when it comes to doing business. From the inquiry phone call to coming in and getting great work done at great price and extremely fast, I highly recommend him. It's rare that paying someone is actually a pleasure. He and his staff made me feel like I was an old friend. If I'm ever in the area again, I'll surely have to stop by just to say hi. I went in for an exhaust on my truck. I wanted something louder than stock but not too loud. Once he had me fixed up, I wasn't happy at first because it still sounded almost stock so, like he said, I wasn't going to leave until I was satisfied. He did a little more work and I left with exactly what I wanted. He even helped me cut some framing metal where my tires were rubbing at no extra charge.